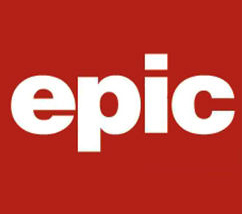 Run or walk “In Their Shoes” with EPIC! Looking for a fun excuse to get outside this spring? Then join us on Saturday, May 5th for the Iraqi Children Foundation‘s annual “In Their Shoes” 5k! Enjoy Iraqi music, food, and family-friendly activities! Invite your friends to take part and sign up before this Saturday to take advantage of the reduced registration fee – and be sure to select ‘Team EPIC‘ when you register! The Iraqi Children Foundation is one of EPIC’s strongest partners in our efforts to meet the needs of children and families in Iraq. We hope to see you at this fun event in support of Iraq’s children and their future!